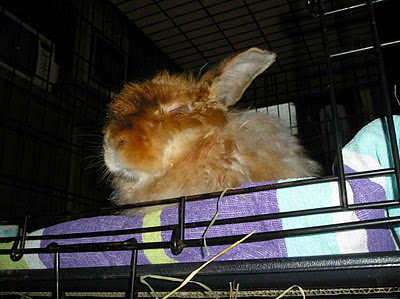 Speedy the cheeky house bunny: Weasley a tribute from Speedy! Today I found out that my Angora Pal Weasley From Rabbits Eats Quilts passed over the Rainbow bridge,I shall miss my fun adventures with him like going to the Hockey game and our last adventure on the pirate ship the Lagomorph,Have fun my friend until we meet again!Please send well wishes,hugs.kisses and purs and nose bonks to his Mum as I'm sure she misses him a lot. Sounds like Weasley will be making the Rainbow Bridge pretty lively upon his arrival! RIP, Weasley. Have fun at the Rainbow Bridge! Speedy, you are such a love. Hugs to you and your Mom. I will miss Weasley so much. I am glad he got that last adventure in. I am so very sorry to hear about your pal. That makes our whiskers weepy wet. Speedy, you were a really good friend to Weasley. I would never have even met him if it weren't for you. Maybe you can remind his mum about something your queen once said about sorrow being the price we pay for love. Someday we are all going to be really happy forever. Yes, we will! Thanks for the fun you bring already!